FORT WAYNE, IN — Rock band JOURNEY has set a concert in Fort Wayne at the Allen County War Memorial Coliseum on Friday, March 31, performing all their classic hits like “Don’t Stop Believin’,” “Any Way You Want It,” “Lights,” “Faithfully,” “Wheel In The Sky,” “Separate Ways,” and more. Tickets go on sale to the general public this Friday, 12/9 at 10am. 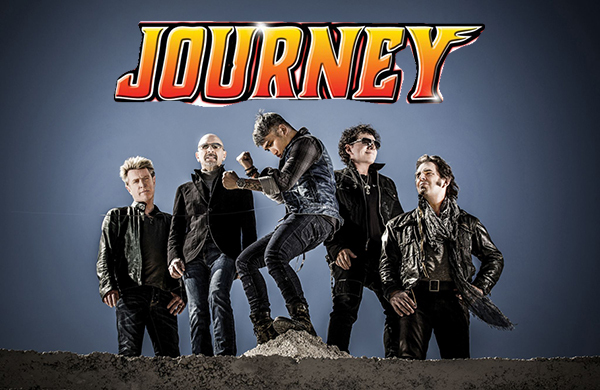 JOURNEY is one of the most popular American rock bands of all time, creating some of the best-known songs in modern music, with iconic hits such as “Faithfully,” “Any Way You Want It,” “Wheel In The Sky,” “Separate Ways,” “Only the Young,” “”Open Arms,” “Lovin, Touchin’, Squeezin’,” “Who’s Crying Now,” and the seminal “Don’t Stop Believin’,” which is the top-selling digital catalog track in history. Since its formation in 1973 in San Francisco, Journey has sold more than 80 million albums worldwide, earning 19 Top 40 singles and 25 gold, platinum and multi-platinum albums, and has headlined multiple sold-out stadium tours. The Greatest Hits album is certified 15 Times-Platinum, bringing Journey into the elite club of Diamond-certified award holders. Journey received a star on the Hollywood Walk of Fame, was inducted into the Hollywood Bowl Hall of Fame, and is the subject of the award-winning documentary, ‘Don’t Stop Believin’: Everyman’s Journey.’ The band recently received a Rock and Roll Hall of Fame nomination. Neal Schon (founding member and lead guitarist), Ross Valory (original member and bassist), and longtime members Jonathan Cain (keyboardist) and Arnel Pineda (lead singer), welcomed virtuoso drummer Steve Smith back into Journey for their “San Francisco Fest 2016” tour, marking the first time he performed with the band since 1998. Schon’s musical career began at the age of 15, when he debuted with Santana as a guitar prodigy on the No. 1 album, Santana III. Valory has been a grounding force in Journey since the band’s formation (other than a brief hiatus in the late 80’s and early 90’s) and Cain was brought on board in 1980, rounding out the songwriting genius behind the defining album, Escape. Since Arnel Pineda joined Journey as its new lead singer in 2007, the band has released two albums and embarked on seven major tours, performing on four continents for more than five million fans, which earned the group Billboard’s prestigious “Legend of Live Award.”. For more information on Journey, visit http://journeymusic.com. Tickets go on sale this Friday, December 9 at 10am!